A desperate Zimbabwean Asylum Seeker committed suicide at a park in London after the British Government put dry sticks on its ears about his desperate plea. Britain merchandises itself on planet Earth as a leader of civilisation in the World. It is extremely disheartening to view the evil craftsmanship of the British Colonial era which led Zimbabwe and indeed Zimbabweans into the dire desperation they are today. If, in the beginning, Britain had not Colonised Zimbabwe in 1896, Zimbabweans would be valued Citizens of this World today. Zimbabweans who live in Britain today have become bargaining Political tools used to ascend people like Teressa May into power. Teressa May, in particular, uses cruelty towards non-European immigrants living in Britain, as a special tool to explicitly demonstrate to the British public that she is the toughest Politician this land has ever seen. In the eyes of the British public, this quality is really special and this is what is needed to get rid of growing immigrant numbers in Britain. This reality is honest, only if one chooses to ignore reasons of why at all immigrants like Zimbabweans would choose to come to this cold, polluted, and distressing country, instead of living in their country of birth. Because of British Colonialism of Zimbabwe in 1896, Zimbabwe is now uninhabitable. The British love to attribute the demise of Zimbabwe only to Robert Mugabe's proven incompetence. The truth is that Britain brought every evil haunting Zimbabwe including Mugabe himself. If Britain had not Colonised Zimbabwe in 1896, Mugabe would not have learnt communist brutality to rule by the rod and die in power. Mugabe is a result of human patience pushed beyond ordinary boundaries by Colonial cruelty of the fifties. After enduring Colonial prison and Colonial genocide of Chimoio, Mugabe was escorted into power by the British after accepting to let them continue to Colonise Zimbabwe at the Lancaster House in 1979 against Joshua Nkomo's honest plan. War traumatised Mugabe unleashed Gukurahundi on citizens of Matebeleland and Midlands. Zimbabwean citizens in that region have never seen Independence. For most of them, Colonialism was even better that what has become. This is the region from where Moyo, a London Asylum seeker who recently committed suicide, comes from. 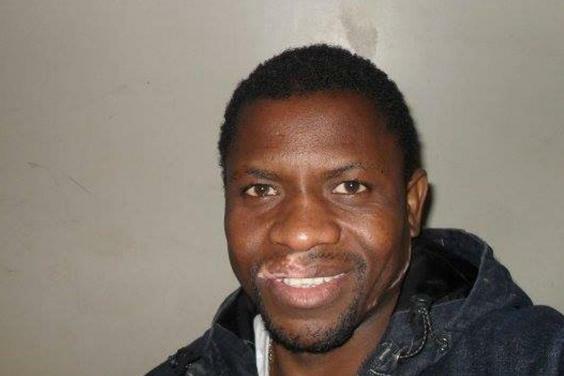 Bhekitshe Moyo is said to have written the British Home Office a suicide warning before killing himself out of dire desperation. In a Civilised Country such as Britain where Biopsychosocial Sciences are perfected, no one deserves to die this way. British Library books are full of human endeavour to perfect the quality of Mental Health for everyone. It is written on every book of psychology that it is cruel as well as criminal to put a human being into so much mental stress which is also an inducement of suicide. Having left one's country has mental health implications already, let alone get ridiculed as an unwanted immigrant on every National Newspaper, everyday, by opportunistic Politicians seeking relevance like Teressa May and her amnesic Conservative Government. It was the Conservative Prime minister, Lord Salisbury in 1888, under whose leadership Cecil John Rhodes Colonised Zimbabwe. By 1896, Zimbabwe fell Colony of Britain. Zimbabwe was a self-satisfied rich country awash with all sorts of precious minerals, wildlife and agricultural land. There were local Doctors in Zimbabwe who knew the Science of Biomedicine, Midwifery, Physicians, Biopsychosocial Scientists who had sustained African life for millions of years under harsh conditions. No Zimbabwean had any appetite to leave the boarders of that life sustaining country to seek to be driven into suicide by foreign cultures in London. The British killed Zimbabwean rulers and banned all medical practice which had sustained life since eternity. They hounded Citizens into reliance on White man by offering free labour. Zimbabwe was then led by undocumented foreigners from Britain with a very heavy hand against people of African creed. After Independence in 1980, the British still wanted to hold land even after emptying all precious minerals to enrich Britain for a century. Zimbabwean precious minerals were used to build the wealth that Britain sits on today, and yet a Zimbabwean has to end up committing suicide in response to dire desperation on British soil. Teressa May went to a school that was partly built with Zimbabwean money in the sixties. Their Newspapers do not want to write or hear anything about how Zimbabwe was looted by Britain in a period between 1894 and 1999. They do not even want to hear how the legacy of Colonialism created Mugabe, farm grabbing's, and sanctions. Instead, after destroying the life sustaining system of pre-1896 systems in Zimbabwe and looting mineral wealth, Britain is the leader in calling for sanctions in Zimbabwe. The Gukurahundi victims in Gwanda have no hospitals, no medicine, no jobs and no Gold to sell and sustain themselves. The British and Mugabe have destroyed any means of sustaining life where Bhekitshe Moyo comes from. Hense suicide. While Bhekitshe's soul was leaving it's body, Teressa May, daughter of a Vicar, was giggling upon her successes of working her way up into the office of the Primeminister by use of ridiculing and deporting desperate Zimbabweans back to Zimbabwe. In 2013, this writer wrote an article prophesising that Teressa May was being cruel to immigrants because of her ambition to dispose David Cameron. That prophesy did not take long to be realised. The daughter of a Vicar has no ability to imagine that inside the body of a Zimbabwean, there is a complete network of human cells and neurons. She only recognises White skin pigmentation as real human completeness. Zimbabwean asylum seekers were refused the right to bring their children even after getting the hard fought status. Families were separated all as a result of Colonialism which enriched Britain. Children were left to fend for themselves in Zimbabwe while British settled parents are now suffering from induced dementia and schizophrenia as a result of desperation. see 2013 prediction of Teressa May ambitious craft into ascendance to Primeministers office, (pay attention to last paragraph).